Improving the manufacturing quality and speed are two major challenges for any industrial organization. You need an effective LMS that can take your employee training to the next level. ProProfs LMS is a perfect fit for the manufacturing industry, helping you onboard new employees, and quickly bringing them up to speed as part of your workforce. Use beautiful templates, specially designed for the manufacturing industry. Simply use any one of our existing courses on manufacturing and industrial training. With ProProfs LMS for manufacturing and industrial training, you can organize users into functional groups by creating a departments or specific user groups. You can perform routine functions like creating or searching for users and groups, and assigning various roles to different users and groups. User Groups offer a flexible way to classify learners based on various criteria like location, job profile and organizational structure. Assigning a specific role to learners brings clarity to the LMS structure and allows users to perform a set of tasks called privileges. 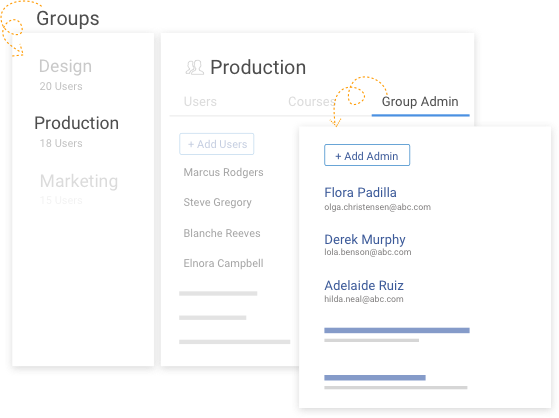 You can assign specific roles like “administrators”, “instructors”, or “moderators” to help reduce administration overheads. ProProfs LMS allows easy tracking of the course progress, as well as letting you know how all learners perform in a given course. Understand which are the most engaging lessons and the toughest assignments. 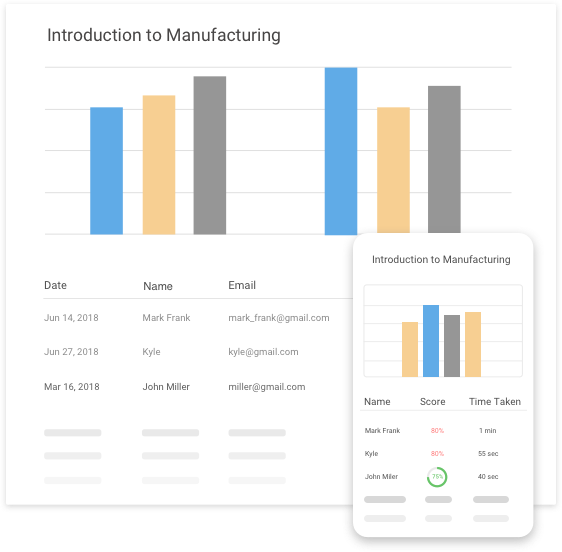 The administrator dashboard displays intuitive charts and tables for each individual module in your manufacturing training courses. You can configure these reports with filters to your requirements and export them in downloadable formats like CSV, Excel or PDF. The LMS is fully compatible with all devices and platforms so these reports can be generated anytime anywhere. ProProfs LMS comes with special features like single sign-on (also known as SSO) which is a convenient and safe way for learners to access your LMS for manufacturing and industrial training. 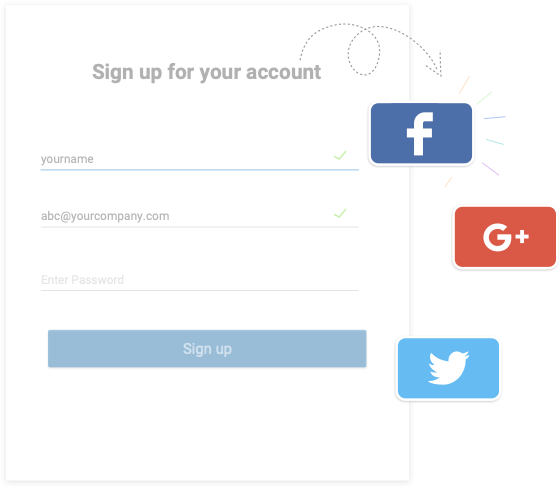 With Single Sign On, your credentials are stored in a single location and can be used to verify your access somewhere else, without running the risk of password fatigue or phishing. Integration with LDAP, an open standard used to access other directory services, further allows you to import your LDAP user base into ProProfs LMS and keep all your manufacturing training courses and learners in sync. The manufacturing industry often requires dangerous tasks to be carried out, that can pose health hazards if conducted incorrectly. Keep your workforce safe with ongoing manufacturing safety courses. 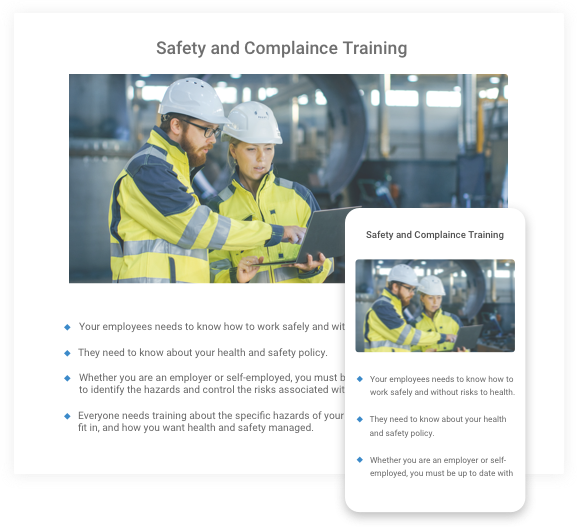 Compliance training is another aspect of industrial training and becomes crucial when it comes to building trust with your customers. As a manufacturer, you have to ensure that your processes fully comply with international standards. ProProfs LMS simplifies this and speeds up compliance training for your employees while providing trackable certificates.